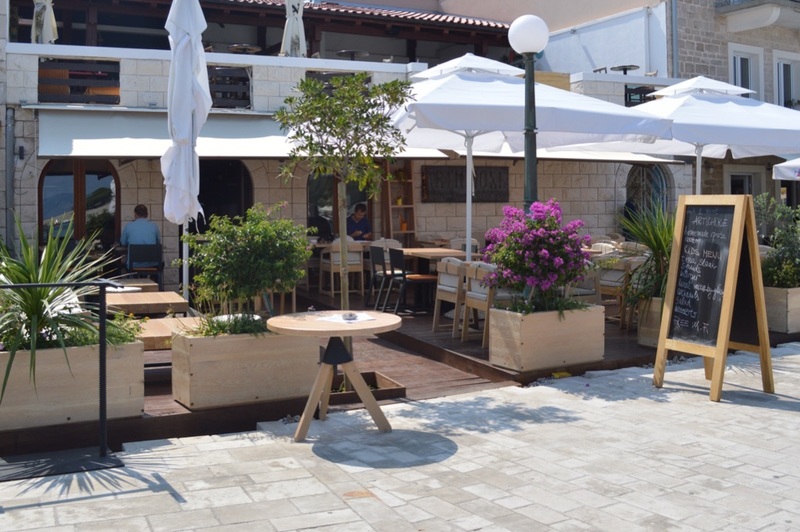 Looking for a light and tasty lunch in Jelsa today, we thought to try the recently opened Artichoke, which comes highly recommended by Total Hvar. It’s in a great location on the Riva, just next to the boat club, so has a lovely view of the harbour. 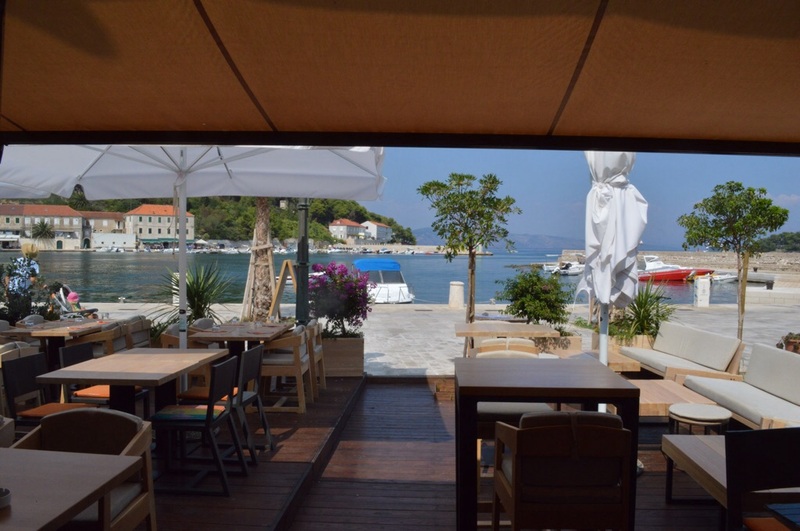 Owner Dino Pavičić, who also started the Mojito Bar on the other side of the harbour, said he wanted to do something different. Jelsa has some nice restaurants and bars, but no such thing as a wine bar, where you can buy many different wines by the glass and accompany them with a selection of different dishes. Dino wished to raise the level of offerings by featuring wines from all the best Hvar winemakers plus selected typical wines from the rest of Croatia, and even a few from abroad. 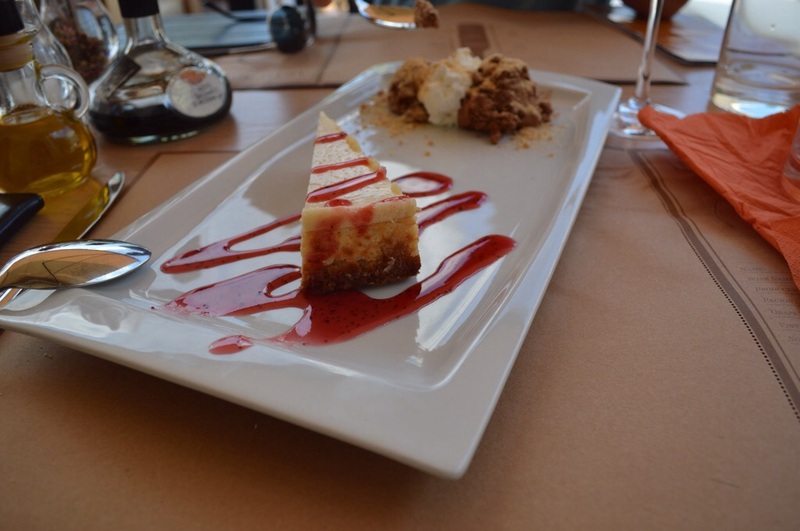 Coupled with a truly excellent choice of wines by the glass is a selection of tasty dishes. The approach is Dalmatian theme with a modern accent, and all the food ingredients are sourced fresh daily from local producers. The menu has an excitingly different choice of items from the standard Dalmatian restaurant fare, and it’s always a treat for me to find good vegetarian options, all very tasty and thoughtfully prepared. Plus, with a wide range of Croatian wines by the glass, you get to try some different ones! I chose a Vujnović Prč, a lovely light, citrusy white from the eastern end of Hvar island, while himself went for a Krauthaker Graševina from Baranja, close to the border with Hungary and Serbia. 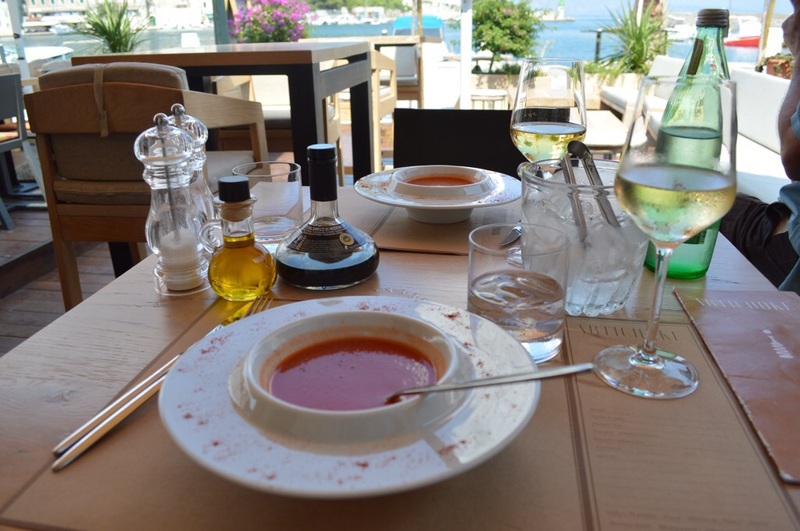 To start, we both had the chilled tomato and vegetable soup – which is perfect for a boiling hot day. Chilled tomato and vegetable soup – yummy! 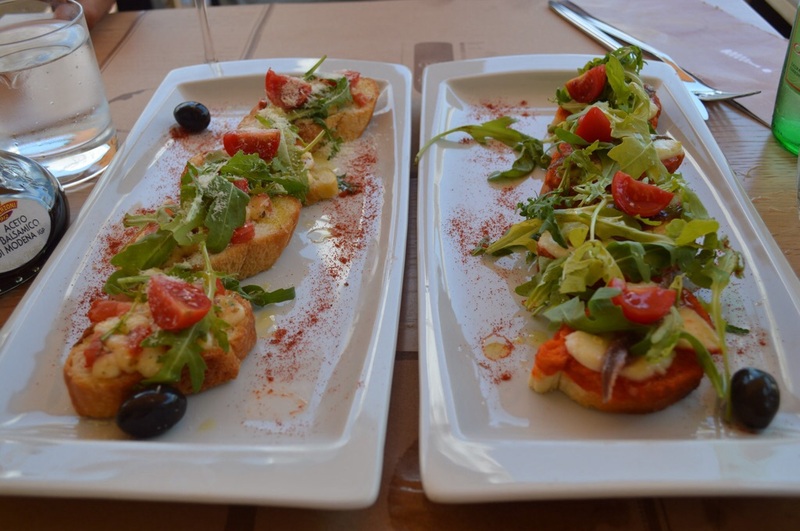 As this was a light lunch, we followed that with a selection of the bruschettas. It was all very tasty and just the right size for what we wanted. The menu describes the food as Dalmatian tapas, and it’s nice to see the idea of small plates to share. Artichoke is at the quieter end of the riva, at least it was nice and peaceful at lunchtime! I think every restaurant should be beside the water, it’s just so fascinating to watch the boats come and go, and in this case, the seaplane! 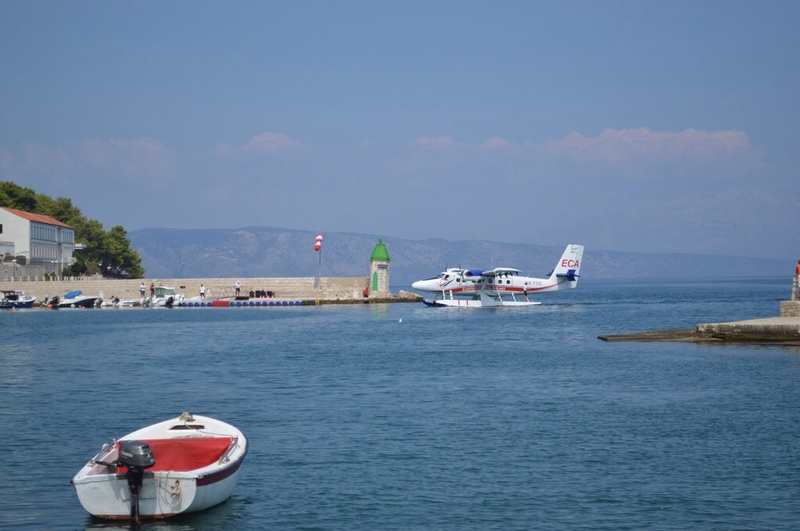 The ECA – European Coastal Airlines seaport is just on the opposite side of the harbour, and it’s so cool to see the plane arrive and depart as you have lunch! Now, we had not intended to have dessert, but it was offered, and who could refuse? The cheesecake was delicious, but the choccie mousse was sublime! Very, very impressed with this new addition to restaurant choices, and will definitely be back for dinner some evening. 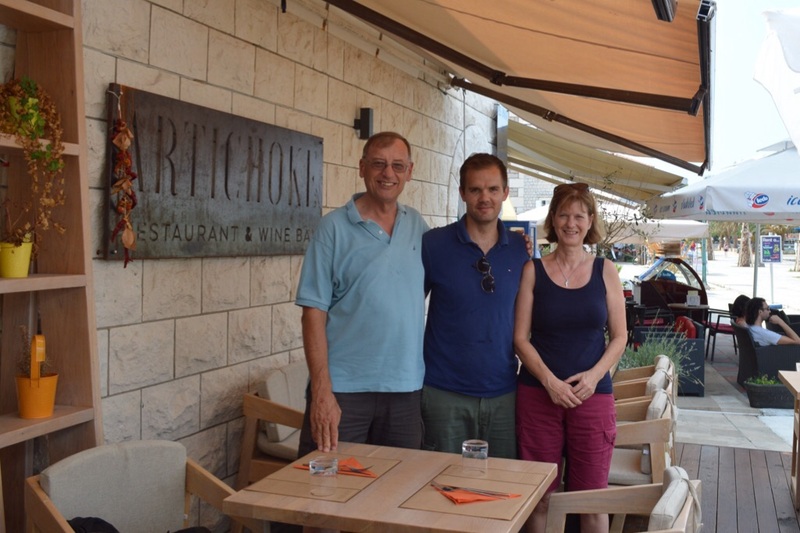 This may be our new favourite restaurant in Jelsa! With the first season just finishing, Dino was satisfied with the results, although there were the usual issues with life on an island. The ongoing works to improve the riva have still to be fully finished, and the lighting on this end of the riva leaves something to be desired. Yet people seemed to have no problem finding the Artichoke, and Dino was talking about staying open throughout the year. That would be great as the restaurant choice out of season usually narrows down rapidly. Surely the locals will find Artichoke as attractive as the tourists. 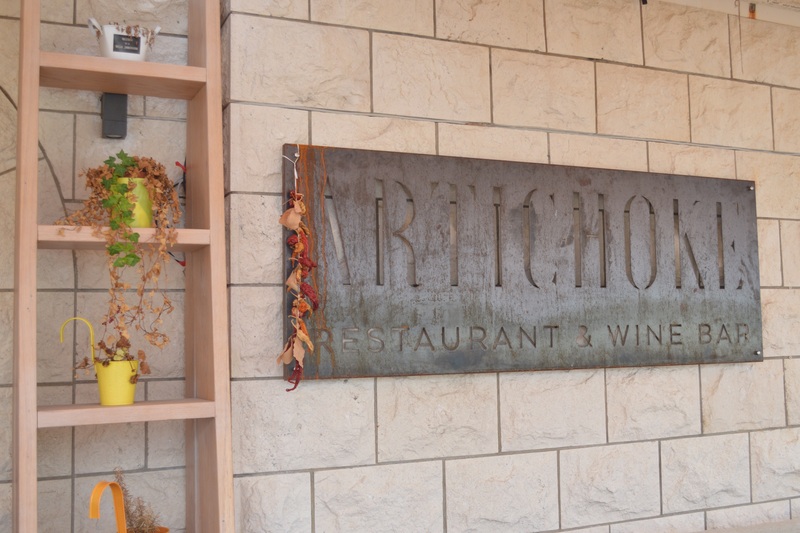 The Artichoke Facebook page is active and popular.